Michael Nardi is one of those rare men on the planet that has been captured by by Spirit to live an authentic life of devotion, playful delight and OPEN-hearted love. It is pretty cool that Michael is a YOUNG man full of energy and could choose to do anything in the world and be an amazing success. He has chosen a path of devotion and mastery of love, life and himself. In that realm the word successful has no meaning. The words student/sage, mastery/humility mark the measure of progress. In that realm Michael is life times beyond the few years he has be making trips around the sun. Michael, is author of “Open” Mantra Meditation for Personal Healing & Self-Mastery. 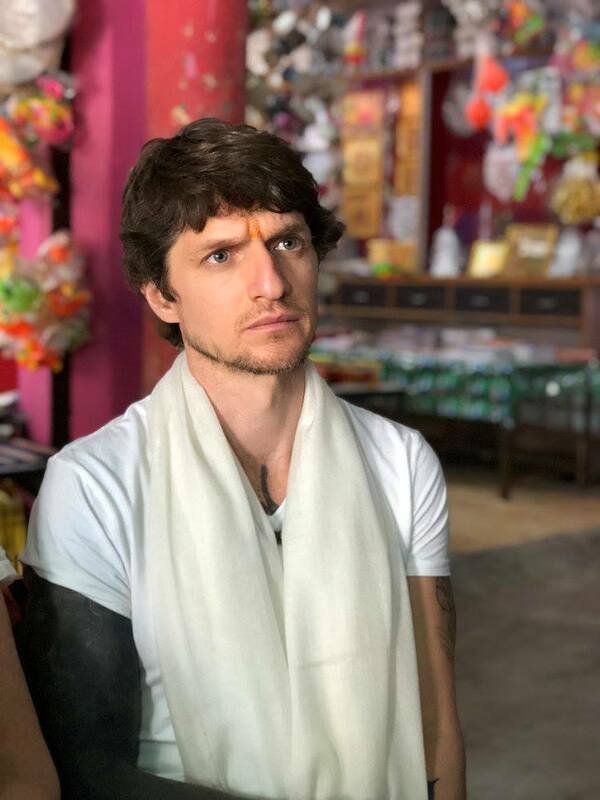 He and his wife Ashley share a studio in Ashland, OR where they teach and support students in the art of movement, therapeutic physical healing, mantra meditation and the mastery of being “OPEN”. I met Michael and his family during a retreat in the ancient city of Teotihuacan, MX. Michael was co-leading an 8 day retreat with don Jose Ruiz. Each day we sat in sessions of mantra meditation and learned chanting mantras to deepen our meditation practice. We then made guided walks into different parts of the ancient city of Theotihuacan and learned much of the ancient wisdom that guided the Aztec and Tottec peoples for generations. Michael and don Jose Ruiz, son of Miguel Ruiz of the Four Agreements fame and author in his own right have become brothers from different mothers. Actually they are brothers of ultimately the same mother; our beautiful mother earth. Michael attributes the beginning of his journey of awakening to reading the Four Agreements and becoming ‘a student’ of don Miguel. I’m sure Michael has also grown from writings and teachings of don Miguel, don Jose, and don Miguel Jr. In addition to “The Four Agreements, A few tittles within the Ruiz family published works; “The Fifth Agreement”, “The Mastery of Love”, “Self Mastery”, “My Friend The Rattle Snake”…. Michael, thank you for living a life of service and contribution. You my brother are making an impact in the world as you teach us, encourage us and show us how to “OPEN”. By the way, any time you and Ashley would like a grandpa kinda guy to care for your two incredible kids in Teo, let me know. So, my friends, be awakened and discover the courage to become a ‘poet’ and pour your light into a spoon and with out thought, lift it to nourish someone’s beautiful parched holy mouth.